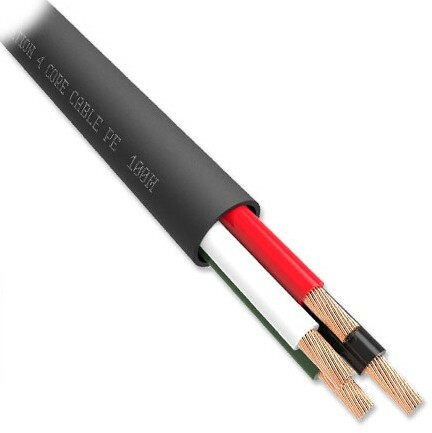 The QX 16/4 Outdoor cable is similar to the other QED install speaker cables but is designed for outdoor with a waterproof PE jacket and is UV resistant and can be buried. Also available as a 300m reel or in a 2 core version. QX16/4 is a 4 core high performance and exceptional quality installation speaker cable with a water and UV resistant PE outer sheath. It is designed to deliver excellent levels of performance in most outdoor installations with no additional conduit required. Large cross-sectional area of high purity copper conductors. Ensures good performance levels are maintained even on longer runs.